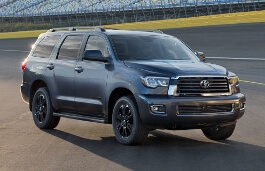 Correct Wheel Sizes, PCD, Offset, Rims and Tire specs for Toyota Sequoia series. 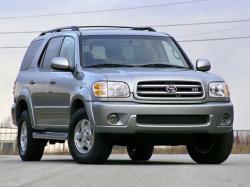 Can I put 285/70R17 tires on a 2002 Toyota Sequoia without them rubbing? It currently has 265/70R16's and I want a more aggressive look. Thank you for the reply. Can I put a 9x16 or 9x17 wheel without spacers? Hi, jamil hasan,Can you explain your question? Hi,Harvey,the stock rims size for your car is 18'',So,30'' rims are too large for your car. What about this size ? Hi,Amer Abdullah,No,275/65/20 can't fit for. Can you put Michelin P255 70R18 tires on a 2008 Toyota Sequioa? Hi, Veronica,Yes,it can fit for. Guys! 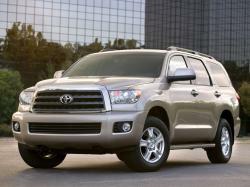 My Toyota Sequoia is 2002 ...can I use 265/60/R18 from Nissan Titan?